Are you concerned about the quality of the air in your space? Most people don’t realize that indoor air is substantially more polluted than outdoor air. Poor indoor air quality can make occupants sick and promote respiratory illness. This concern is especially relevant to allergy sensitive or immune compromised individuals. We will gladly come to your home or business to take air and/or surface samples. Sanitall works in conjunction with licensed mold assessors to determine what types of pollutants may be affecting your health. Then we will develop a plan to improve this space for our clients. 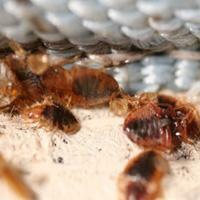 Bed bugs and their eggs are killed at high temperatures. Sanitall will collect samples of bed bug DNA and send them to a third-party laboratory for confirmation. 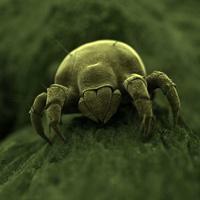 Dust mites are tiny animals you cannot see. Every home has dust mites. They feed on skin flakes and are found in mattresses, pillows, carpets, upholstered furniture, bed-covers, clothes, stuffed toys, and fabric or other fabric-covered items. 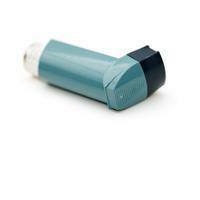 Body parts and feces of dust mites can trigger asthma in individuals with an allergic reaction to dust mites. Exposure to dust mite allergens may cause asthma or sickness in susceptible people. Using Vesta Vapore Dry Steam Vapor Systems, Sanitall effectively kills and removes dust mites from indoor spaces as well as a variety of other common household allergens. Millions of people suffer from indoor allergies, including those caused by cat and dog dander, cockroach droppings and mold. Symptoms vary and can include watery eyes, scratchy throat and congestion. At Sanitall we can perform quantitative air quality sampling of the following allergens to determine the varying levels present within your home or workplace. "You can develop life threatening diseases by continuing to live or work in a home or building where you may be sensitive to chemical substances, toxic mold, fungi, and other airborne pathogens. Although you may not be able to see, smell, or feel the molecules of dirty air infiltrating your lungs and body, sick buildings harbor dangerous pathogens that you are inhaling with every breath and clinging to the largest organ on your body - your skin. 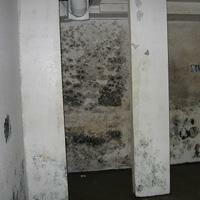 One of the most deadly pathogens is the highly toxic mold, Stachybotrys, that produces mycotoxins. Another is formaldehyde from new office furniture that is off-gassing the fumes. Working in a sick building with or without symptoms may eventually lead to life threatening or serious illness". (Source: http://www.presenting.net/sbs/sbs.html). The most healthy way to combat sick house syndrome is to use dry steam vapor cleaning. Dry vapor has been shown to effectively kill and remove these mycotoxins, without using chemicals, thus keeping you and your home safe. Many people have chemical sensitivities or other allergies that create the need for a sparkling clean indoor environment. Not only will Sanitall use its chemical free cleaning methods to remove allergens and chemical residues from your surfaces, mattresses, and other items in your home, we will also clean the air. 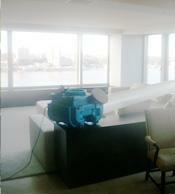 This cleaning will ensure the removal of airborne pathogens and allergens from your space. Stay healthy and get rid of the harsh chemicals from the indoor environment.